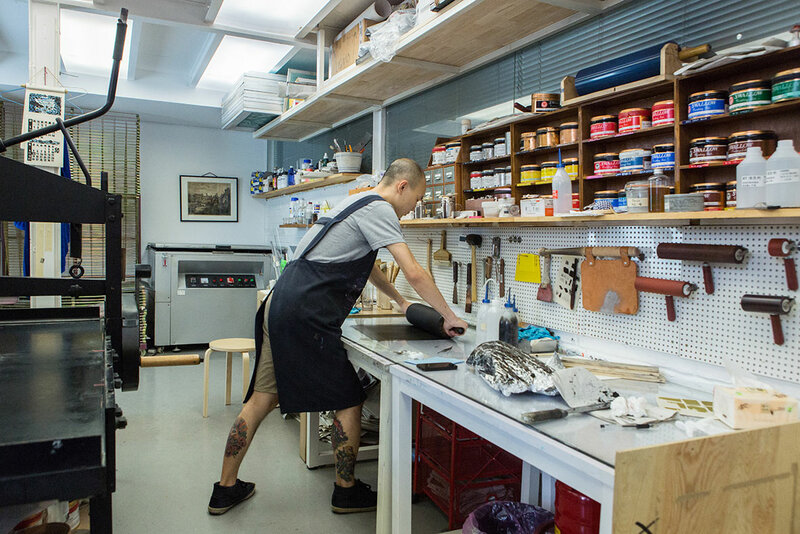 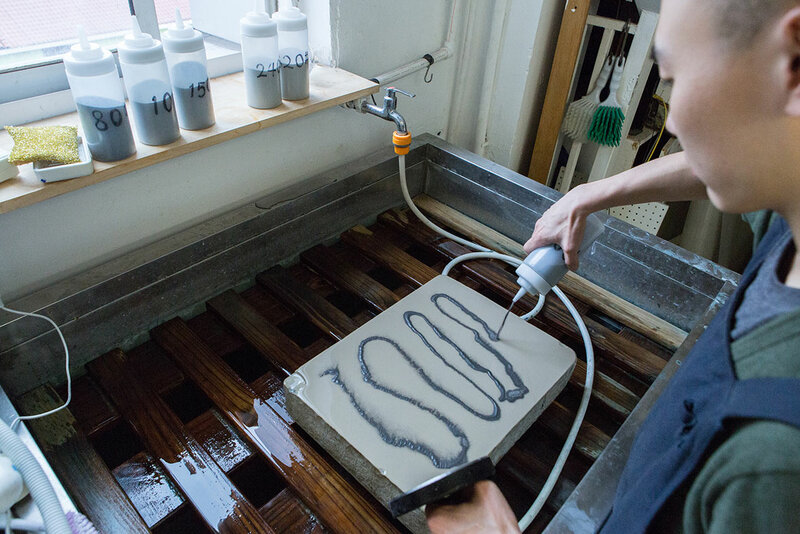 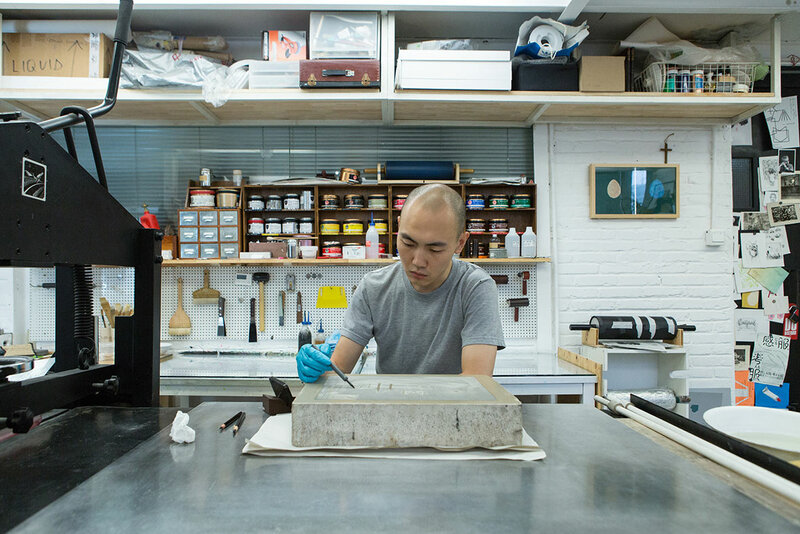 Press Matter is a studio located in Shanghai that specializes in the delicate craft of printmaking. 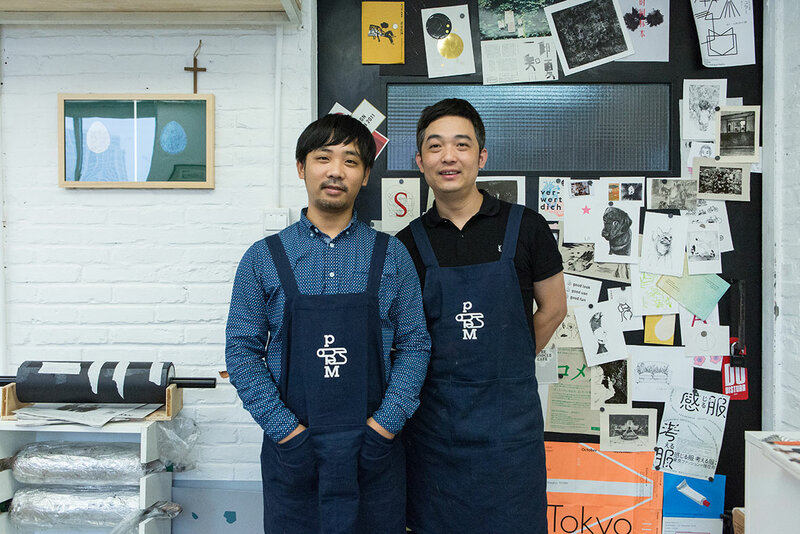 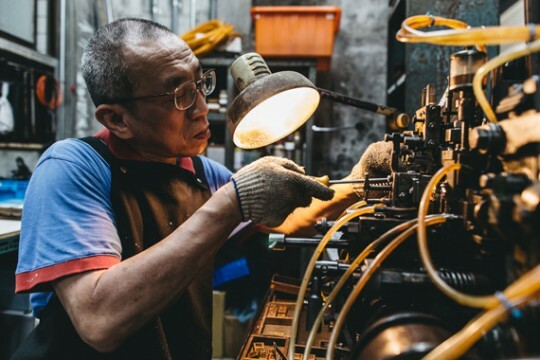 Founded in 2012 by two local entrepreneurs, Yang Mo and Chen Jie, their printing studio has been up and running for nearly four years now. 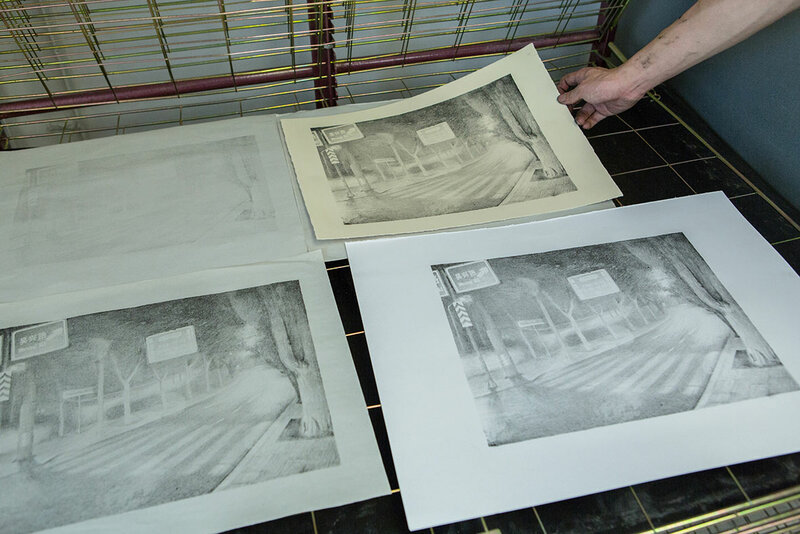 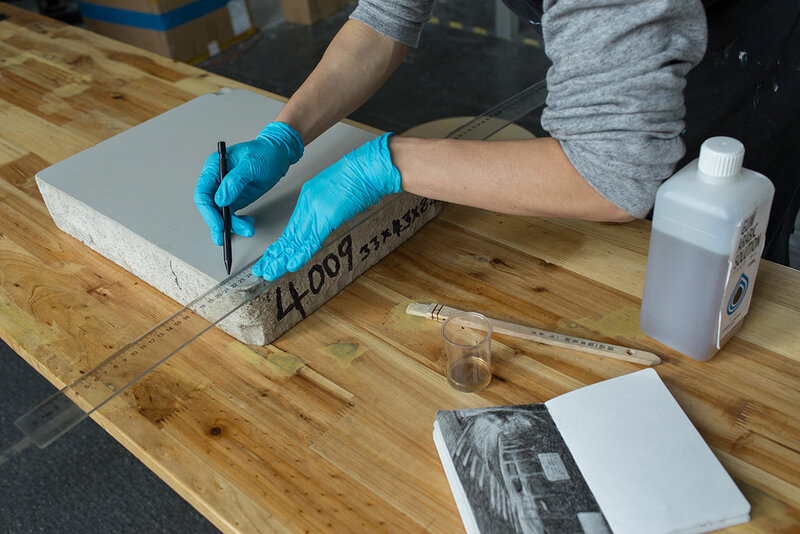 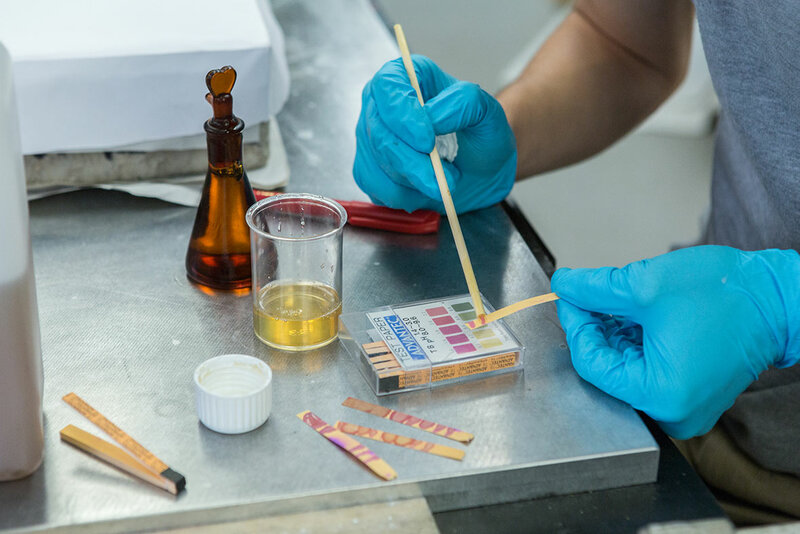 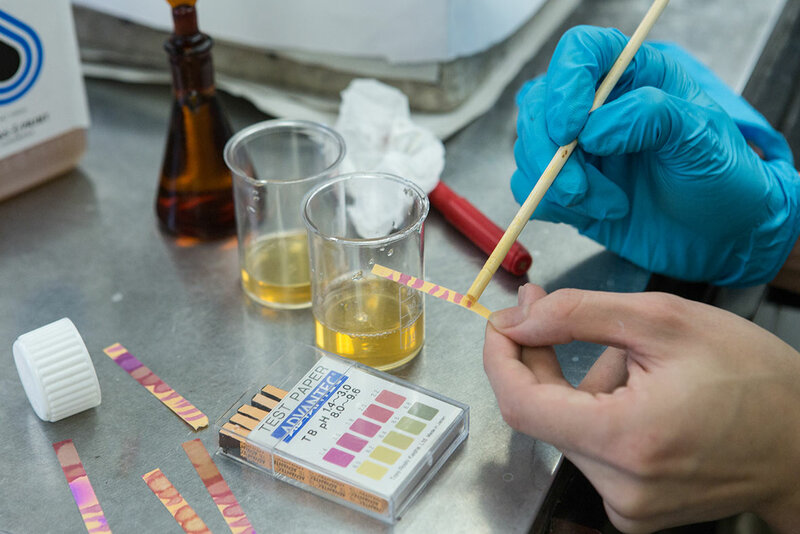 The two demonstrated the entire process of lithographic printing for us, from beginning to end, using a piece of work from the artist Mingming, a customer who frequently uses their studio. 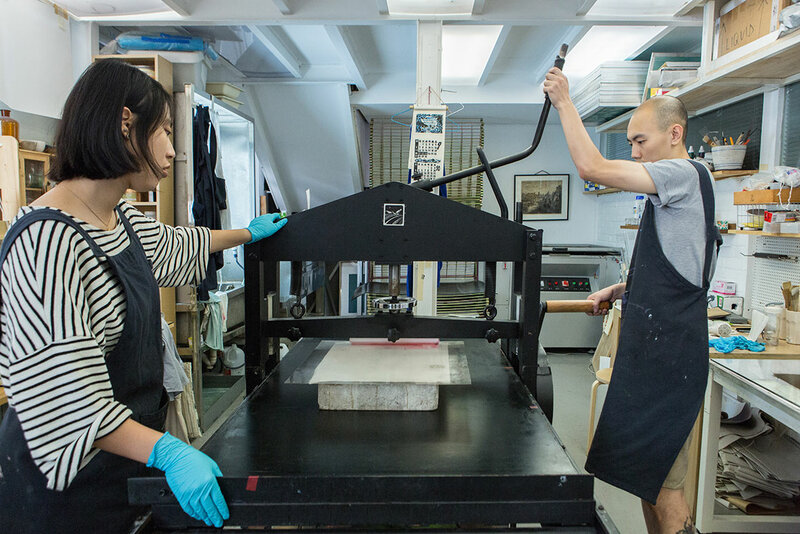 One might expect that Yang Mo and Chen Jie would share a story with us about how their passion and persistence led to the start of their print studio, but this was actually not the case. 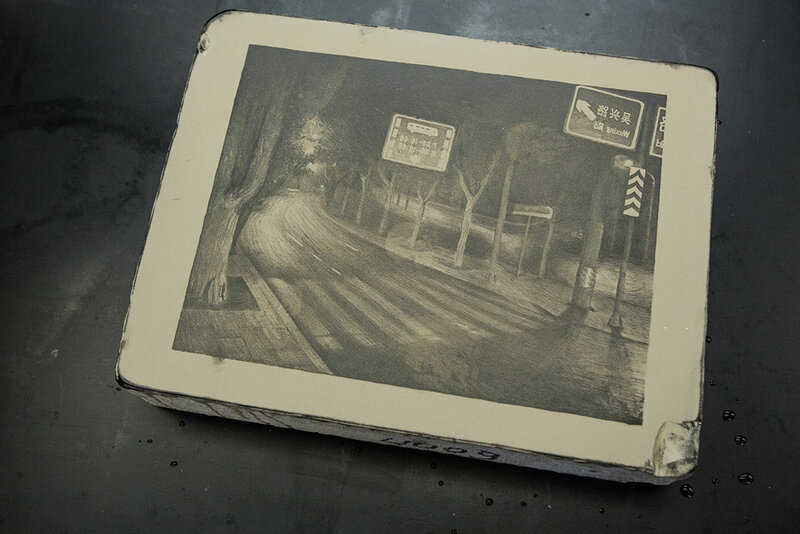 The pair tells us that the real reason behind starting Press Matter was rather simple: they were displeased with the extortionate inflation of prices for limited edition artwork in China. 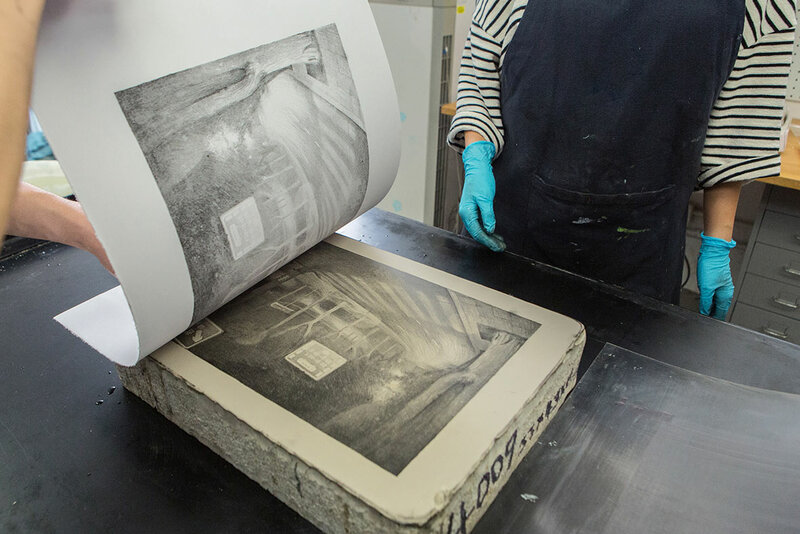 Artwork that has been mass-produced with a machine press is seen as less valuable in the eyes of many collectors, but this drop in value doesn’t happen when the same artwork is hand printed. 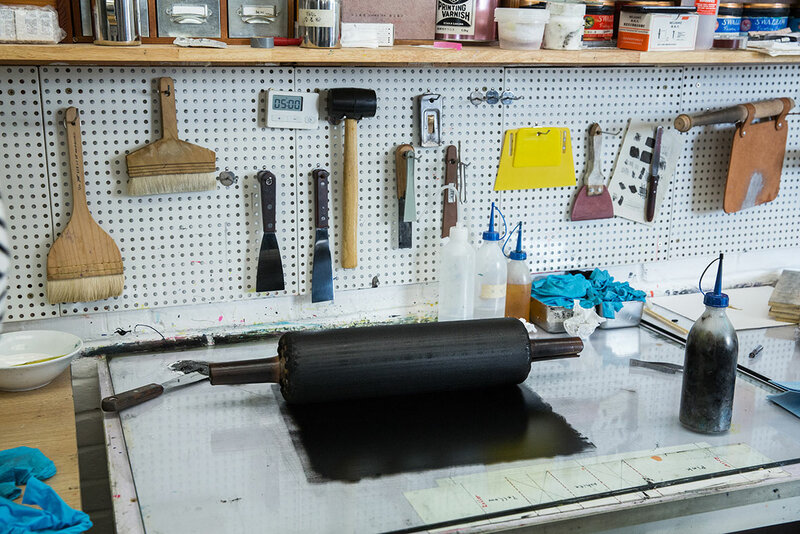 Printed work is also unlike artwork that was created solely for the canvas, which is very exclusive, limited, and in most cases for the average person, nearly impossible to obtain. 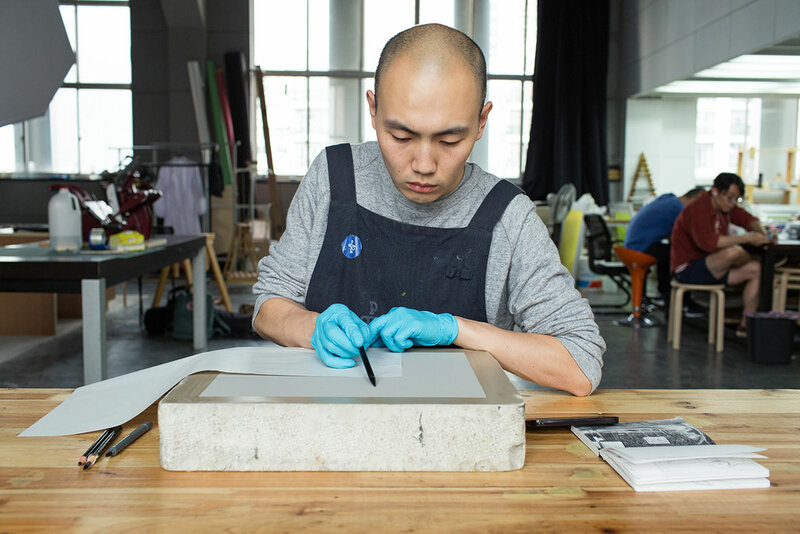 Their goal is to popularise printmaking in China and to make art something that everybody can afford.